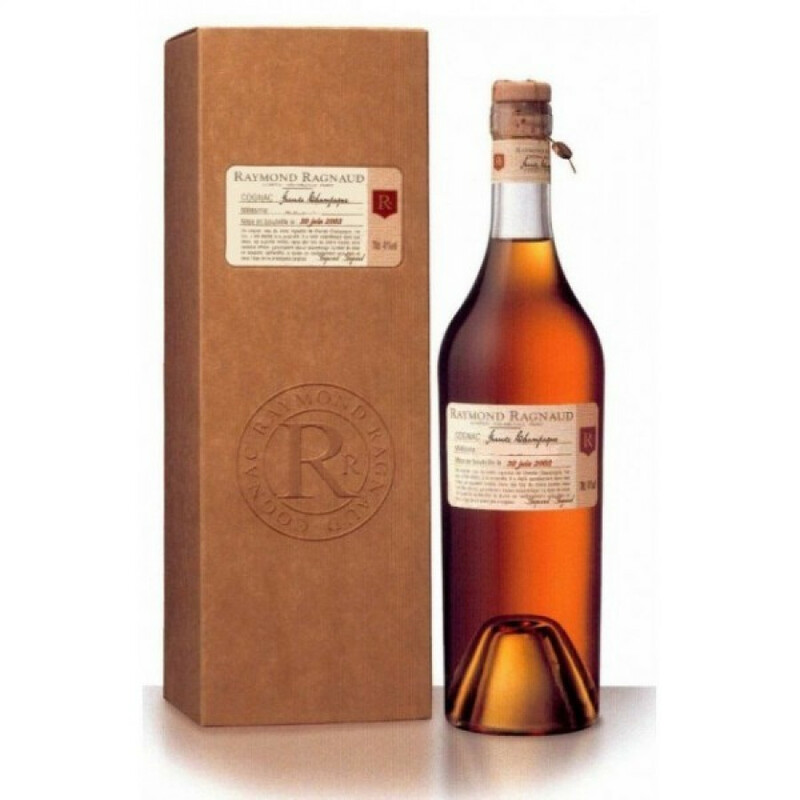 The Raymond Ragnaud Vintage 1991 Grande Champagne Cognac is a delightful blend of premier cru eaux-de-vie from the vintage harvest of 1991. This is a great example of a Cognac from this growth area, with smoky tobacco tones, hints of leather, and all the wonderful aromas and flavors you'd expect from grapes grown in the chalky soil of Grande Champagne. Slightly over-proof at 41°, Raymond Ragnaud produce such vintage cognacs in unique packaging. These guys don't need the bottles to do any of the talking; instead, they leave the contents to make their extraordinary impact. However, any Cognac afficionado will love the facts that are described on the label about the Cognac wiithin the bottle. A wonderful Cognac to enjoy in good company after a great meal. I bought this bottle for my nephew's birthday and we tried it the other day. I can absolultely recommend also because of the price. It's far better than the big names you know like T orro or similar AND it is a real vintage cognac brandy from france. I compared it to my other brandy and cognacs and the taste is just great.